Today’s announcement of this year’s Nobel Prize for Literature once again has many Americans scratching their heads. Patrick Modiano? Who is he? This seems to be the reaction almost every time the Nobel Committee selects a non-American (or at least English-speaking) author. Several years ago, then secretary of the Nobel Committee Horace Engdahl got himself embroiled in controversy when he said that, ‘the US is too isolated, too insular. They don’t translate enough and don’t really participate in the big dialogue of literature.’ The statement angered many American intellectuals, for good reason. But he had a point. If you look at the bestseller lists in major European magazines like France’s Paris Match or Germany’s Der Spiegel, you will notice that they include, and sometimes are almost dominated by, current American books in translation. When was the last time a book in translation made the New York Times Bestseller list? I’m thinking back to Patrick Suskind’s Perfume (1986), translated from German. There has to be a more recent one, but the fact that I can’t recall one speaks volumes. So when we hear that an author we never heard of has just won the Nobel Prize for Literature, our natural reaction is to think the Nobel Committee is once again out of touch. But perhaps we are out of touch. Webster Groves Public Library doesn’t own any books by Patrick Modiano, though there is at least one available through the MLC. We will correct this oversight as soon as we can. What about you? Do you have any favorite contemporary authors whose works you read in translation? Are you ‘in touch’ with world literature? Due to new changes to the OverDrive app for Android and iOS devices, there has been an elimination of the need to create an Adobe ID account in order to check out and use audiobooks and ebooks. Use of the Adobe Digital Editions program still requires the creation of an Adobe ID account. Older devices such as NOOK Classic and Simple Touch, as well as use of the program on PC and Mac computers, will continue to use Adobe ID accounts. 1. New users will be prompted to create an OverDrive account upon app install. 2. 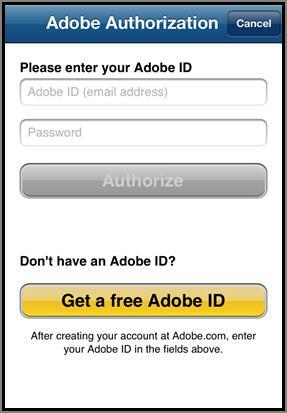 Existing users: If you already have an Adobe ID or OverDrive account, no action needed. If reinstalling the app, will be prompted to create/ sign in to OverDrive account. 3. Users under 13: Anonymously authorize app. Will not have OverDrive account features. A parent/guardian can create OverDrive account for user. 2. Search for “OverDrive,” and select the “Free” button next to the OverDrive symbol. 3. “Confirm” to start installation. (You may need to enter your B&N password). 4. When the app has finished downloading, select “Close” at the bottom of the screen. 5. In the settings menu select “Get Books.” Next, enter your library name or zip code to find Webster Groves. Select the Municipal Library Consortium. 6. The OverDrive app functions the same as the web browser. You can search for specific books, authors and subjects at the top of the page, or you can browse collections by selecting Fiction or Nonfiction eBooks or Audiobooks. 7. When you are browsing books, you can choose to look at only the titles that are currently available for checkout by going to the Collections drop-down menu at the top left side. 8. When you have selected a book, click on the word “Borrow” underneath the title image. 9. Next, you will be prompted to enter your library card number to sign in (if you have not already) and check out the book. 10. Once you have signed in, your device will begin loading the selected title. Some devices may prompt you to download the title. 11. When the title has finished downloading you can find it in your OverDrive Library. You can access your library by opening the settings menu and selecting “Bookshelf.” Tap the title to start reading or listening. If an eBook or Audiobook is currently checked out, there will be a white banner above the title image displaying “Wait list”. Instead of the option to borrow the book, you will be able to place a hold by click on the words underneath the title image. If you have not already signed in, you will be prompted and then to confirm your e-mail address. The library will contact you when your hold is available. After you have received your e-mail you will have 3 days to check out your hold, if you have not opted for automatic check-outs. To access your hold, go to your Loans page (books icon). Next, choose your Holds from the menu on the left. Next to the cover of the book there will be an option to download the book. One of the funniest (and kind of distressing) things that people often say to me when they hear I am a librarian is how much they’d love to be a librarian because, ‘I could sit and read all day.’ Librarians discuss this little canard amongst themselves all the time, and how best to respond to it. My usual response is to note to the speaker that I have worked in libraries for over 25 years, and I have never read a book at work. Quite the contrary, actually. As a librarian, much of my reading is assigned. I do book talks at various places around town, so I am always reading some new and (I hope) interesting piece of non-fiction that I can tell people about. I also conduct a monthly book discussion group, so I have to read one book a month for that. This takes up a lot of time. So I have to be selective about my reading, when I finally get the time to read something I simply choose to read. As the weather gets cooler, and outdoor chores become less of a burden, I anticipate weekends when I will have more time to read. For a few years now, almost without noticing it, I have evolved the habit of selecting what I might call ‘weekend reads.’ These are usually short novels, between 200 and 300 pages, which can be read in a weekend. I like that experience, like a mini literary vacation. This weekend I read I Served the King of England, by the Czech master Bohumil Hrabal. Some of Virginia Woolf’s books, like Mrs. Dalloway and To the Lighthouse, make excellent weekend reads, as do several shorter works by John Steinbeck, particularly The Old Man and the Sea, The Pearl, and Cannery Row. If you’re in the mood for something intense, Kafka’s Metamorphosis is a good short novel. But there are great humorous weekend reads, like Three Men in a Boat: To Say Nothing of the Dog! by Jerome K. Jerome, or Cold Comfort Farm by Stella Gibbons. Nothing like a bit of rollicking laughter to make one feel like the weekend was time well spent. Next time you see a chilly, cloudy weekend coming on, give it a try. Check out one good short novel, brew a pot of hot tea, and tell everyone in the family that you are not to be disturbed. Do you have any suggestions for books that would make good weekend reads?